This leafy vegetable is rich in calcuim and requires warm weather to grow. It takes around 20-25 days to fully grow and comes in green to red color with shades of yellow, pink and copper. Introduction and Uses: The leafy veggie is a treasure trove of iron, vitamins and minerals. The juice extracted from this superfood is helpful in treating diarrhoea. Packed with carbohydrates, vitamins, proteins and minerals, it eases digestion, regulates menstruation flow and helps in weight management. 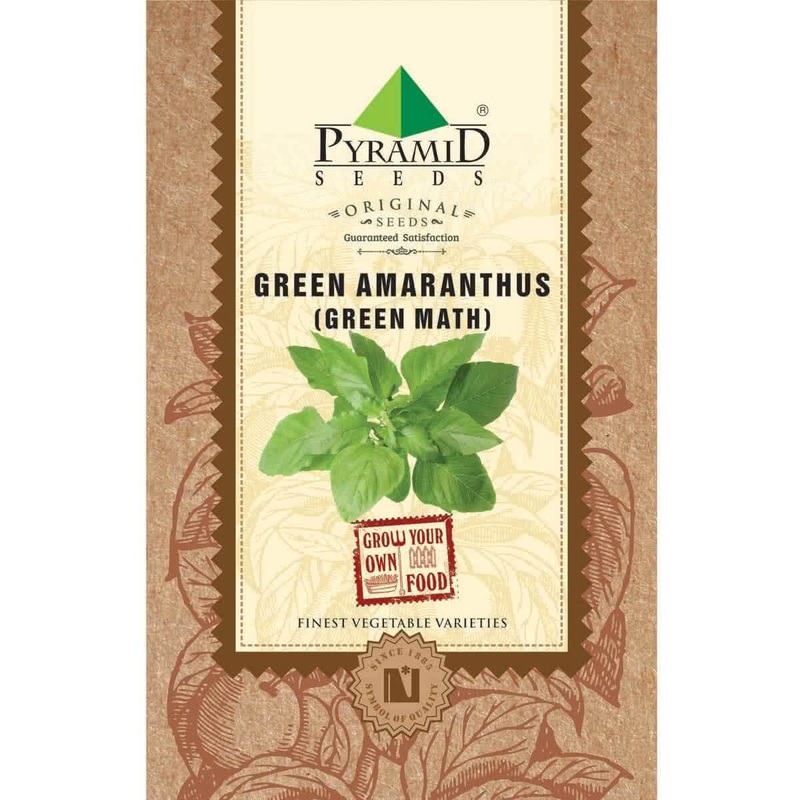 High in iron content and dietary fibre, Amaranth is good for anaemic patients. The amino acids called lysine assist in fighting against free radicals. Sowing Season: Throughout the year. Best grown in summers. Growing container: Use a shallow container with a minimum depth of 5 inches & bigger spread area (according to available space & your requirement) like Trays or crates. Take a container of your choice with uniform drainage holes at the bottom. Fill the container with selected growing medium. Green Amaranth seeds are very tiny in size. Mix the seeds with fine sand. Sprinkle this mixed powder over the container soil medium or a raised bed. Seeds will germinate within first six days, or even earlier & tiny seedlings will be visible with first leaves. Baby Green Amaranth plants will be visible in 10-15 days. Mature leaves will be ready to be harvested in 30 days. Note: Green Amaranth plants are very hardy and can tolerate average conditions. They need minimal care. Sunlight: Amaranth can tolerate full sunlight as well as partial sunlight. Watering technique: Water your green Amaranth container / raised bed every day in the form of a light shower with a watering can. Sprinklers can be placed outdoors. Microgreens: If you plan to grow microgreens Green Amaranth, grow it indoors in flat containers. Sow-scatter the seeds in a crowded manner. You can harvest it in 10-15 days by uprooting the baby plants. Harvesting: (within 30-35 days ) About 21 days after sowing, tender leaves can be harvested by cutting them using a scissor and leaving the basal stem of the plant for the next harvest. This way you can harvest about 4-5 times in intervals of 18 days. Note: If not harvested early, Green Amaranth plant starts growing tall with its old leaves & thick stem. It will eventually flower at the top. Sometimes Amaranth plant is allowed to grow for a long time so that edible ‘Amaranth gains’ can be harvested. 10 to 15 Ton / Ha.